Identity. Representation. Power. All just some of the key themes centered in the story of Marvel’s highly-anticipated 18th installment: Black Panther. While being immersed in the excitement that’s been building around Black Panther for the past couple months, I frequently remembered one of my first experiences with representation when I was younger. As a little girl, one of my favorite movies was Rodgers and Hammerstein’s Cinderella. If you haven’t seen it, it’s a musical version of the classic Cinderella story told with a mixed cast: the king is played by a white actor, the queen is played by Whoopi Goldberg, the prince is played by a Filipino actor, and the titular Cinderella is played by Brandy, a black actress. I think I loved this movie so much mostly because of the catchy songs, but as I’ve gotten older, I’ve become more and more attached to it, because it was one of the first movies where I felt like I truly saw myself in the lead, like I could be that princess. It was my first taste of representation. Maybe it’s not the best connection to Black Panther, being that Cinderella was a servant, forced into servitude by an evil stepmother. But maybe that’s one of the reasons why a movie like Black Panther is so important right now. There are no slaves, no gangsters, no drug addicts, none of the negative portrayals of African-Americans that are usually presented in films. Instead, Black Panther is a captivating story about a man’s journey to fulfill his destiny, never once believing that the color of his skin would hold him back. It was a superhero movie with a message. Black Panther is set in the fictional East African nation of Wakanda, a technologically advanced civilization, powered by vibranium, hidden away from the rest of the world. A lot of the central conflict of the film has to do with Wakanda’s ability to utilize its resources to help the rest of the world. The nation of Wakanda was truly a character in itself. The portrayal of the nation included dense forests, rustic reds, greens, and browns — what you would expect from an African nation, interwoven with high powered trains, towering buildings, gorgeous waterfalls, and mountains. It was a place that seemed both foreign yet familiar. Adding to the beauty of Wakanda are the gorgeous costumes, makeup, and hair designs incorporated into the film, created by Ruth E. Carter, Joel Harlow, and Camille Friend, respectively, all inspired by the history of African tribes. Other women in the film include Nakia (Lupita Nyong’o), T’Challa’s somewhat love interest, a warrior in her own right, who is a strong believer in doing good in the world and helping those not able to help themselves. Letitia Wright shines as T’Challa’s little sister, Shuri. Although 16, she is the brains behind the creation and maintenance of the technology of Wakanda. While Marvel villains are usually pretty one-dimensional and unmemorable, with the exception of Loki of course, Erik “Killmonger” Stephens (Michael B. Jordan) carries a complexity that makes the title of villain somehow seem wrong. 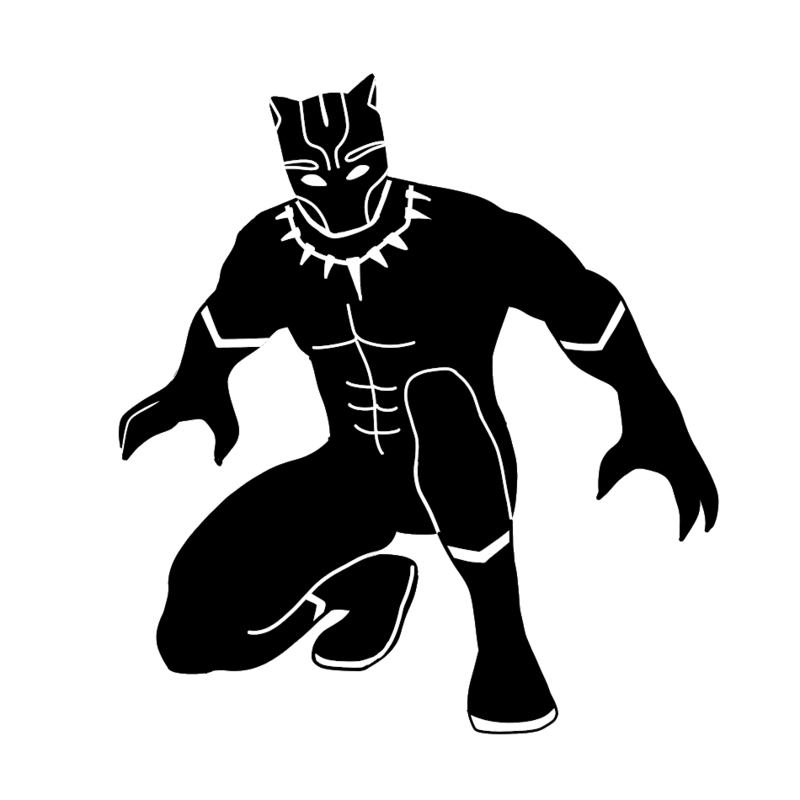 While I don’t agree with his motivation to seek vengeance on T’Challa, it’s easy to understand where those motivations hailed from, and how this was created as a product of his childhood. Killmonger often cites his experiences growing up as a black man in America, being linked to a history of slavery and oppression, as the motivation behind a lot of his actions. “Y’all sitting up here comfortable. Must feel good. Meanwhile, there are about two billion people all over the world that look like us. But their lives are a lot harder. Wakanda has the tools to liberate them all,” says Killmonger at one point in the movie. There were moments when I found myself more interested in Killmonger’s story over T’Challa’s, but I praise Marvel for finally creating an antagonist that feels like an equal contender to the movie’s protagonist. Black Panther includes a truly melanin infused cast, essentially a who’s-who of black Hollywood, including familiar faces such as Daniel Kaluuya, known for his Oscar-nominated performance in Get Out, as W’Kabi, Angela Bassett as T’Challa’s mother Ramonda, Forest Whitaker as Zuri, the spiritual guide, Sterling K. Brown as N’Jobu, Winston Duke as M’Baku, and Florence Kasumba as Ayo, among others. The film also includes Martin Freeman returning as Agent Everett Ross, and Andy Serkis who gives a stunning portrayal of the crazed Ulysses Klaue. Black Panther has something for everybody: a captivating story, fully-fleshed out characters, a classic comic book superhero adaptation, and amazing music by Kendrick Lamar. Overall, the hype behind Black Panther is absolutely deserved, and worth every praise and box office smashing record it has received thus far.